Applying for your provisional driving licence could not be easier. You can apply for a provisional driving licence when you’re 15 years and 9 months old. You can normally start driving on your 17th birthday and your first lesson can be arranged for this date. It is essential you hold a valid UK Provisional Driving Licence before starting your driving lessons. 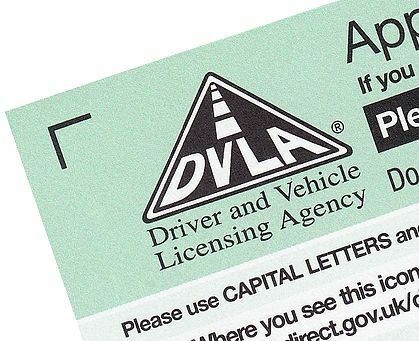 You can apply online or by post by completing a D1 application form, which you can get from the DVLA form ordering service or from a Post Office. The cost is £ 34.00 and applications take approximately 10-14 working days to process. There are approximately 41,050 Approved Driving Instructors (ADI) registered in the UK. That represents a lot of choice for the customer. The first step would be to ask, friends and family for recommendations. It’s better to seek advice after they have passed, as this is when they can comment on the complete service and not just after a few hours training. General referrals for a large school are fine, but be sure to ask for the instructor by name. You are investing in the Instructor, not the driving school directly. Think about the service you are looking for, spend some time narrowing down a list of instructors and then make contact with the driving school or instructor directly and discuss what they can provide for you. It’s very useful taking a short assessment drive to meet the instructor, see that they can provide the service you are looking for, you should not be tied into long term deals, and feel comfortable before committing long term. Check the finer details. Are all the lessons at the same price? Are you being charged per hour? Will you be dropping people home, or picking others up? They should certainly not be talking on a mobile phone, or smoking in the car both are illegal, not to mention very unprofessional. Always make sure your instructor is an approved driving instructor, you can do this by checking they have a green badge in the window of their car. A driving instructor must pass a searching three-part examination to qualify, and they have to reach and maintain the high standards required by the Driving and vehicle Standards Agency. Some instructors choose to gain experience by using a trainee licence (or pink badge), they are not Approved Driving Instructors and have not completed all the qualifying exams, and may never do so. Go Green! Approved Driving Instructors will display a Green Badge in their window, it is essential you see this displayed, as you may be putting yourself at risk if the person providing lessons is not qualified. Make sure you display L plates. You must display L plates on the front and rear of the vehicle where they can be clearly seen when you’re driving (L or D plates in Wales). Beware of Illegal Driving Instructors! If you think your instructor is working illegally then contact the DVSA with as much information as possible. If they are offering lessons at low prices, or do not display a Pink or Green Badge, keep personal details hidden, for example they do not supply business cards, or log books, then the chances are they are working illegally and putting you and other road users at risk. Learn Me Driving School realise the importance of finding a professional driving instructor. To help you make that decision, I can arrange a no obligation home visit to discuss what Learn Me Driving School can provide for you. This gives us an excellent opportunity to meet before your driving lessons start and discuss the available options in regard to your driving tuition. There is no obligation to continue lessons until you are comfortable with your instructor. You will be asked to answer 50 multiple choice questions, followed by a test of your hazard perception skills. You must answer 43 questions or more correctly in 57 minutes. You will need to pass both parts of the test at the same sitting to pass your theory test. During the hazard perception test you are shown 14 video clips of various hazards. Click the mouse key for every hazard, and also every hazard which then develops further. Candidates can score up to five marks on each hazard and the test contains 15 score able hazards. The pass mark for this part of the test is 44 out of 75. Your theory pass certificate is valid for 2 years. You must pass your practical test within this time, or you will need to retake the theory test. For assistance with your theory test please visit Theory Test Pro in partnership with Learn Me Driving School. You should be able to read a number plate at 20.5 metres (67feet) or 20metres (66feet) plates from 2001. The driving test will last approximately 40 minutes. Your drive will take on a number of different roads and traffic conditions. You will be asked to carry out one set exercise which will include reversing, you may also be asked to perform a controlled stop/emergency stop. Learner drivers will be tested on independent driving as part of the practical driving test. Two questions are asked of the mechanical nature of the vehicle starting with the words ‘Show me or Tell me’. Learn Me Driving School will provide all the preparation you will need to drive safely, and pass your driving test. An accumulation of more than 15 driving faults will result in a fail. One dangerous or serious fault will result in failure. A high standard is now expected of learner drivers, you must be fully prepared.